The world of internet is one huge virtual space with millions of contents floating around. Fortunately we have our search engines which engage their bots that crawl all over the web and bring you back a series of good quality contents in a flash of seconds. The program that the search engines engage, weighs content on the basis of more than 200 parameters. One of these parameters includes links from external pages or websites. Links for a website present on a third party website is regarded as a recommendation for that particular website. Larger the number of links floating on the web, higher is the chance of the website to be present in better ranks in a search query. The process of Link building is an effective form of SEO. However, it needs to be noted here that the search engine will give more marks to a link present on a reputed website more than that present on not-so-known or new website. Content Creation: Creating good quality content is the first and foremost necessity. It will help to attract guests and will impel them to give reference to your website. They will most commonly leave links to pages in your website. Content Promotion: You can promote your websites by various ways. For example, you can open a web page in a social media and maintain it. Here you can provide links to your main website. You can spread the word by mouth or via email. Website Submissions: Press releases are never to be ignored. Submit your website to press releases. If your content is good, you are sure to get a series of links or recommendations to consult your website. You can also submit your website to directories. Customer Reviews and Blogger’s reviews: This is a very effective SEO Let the blogger know about your new product or update or offers. A simple mention of your product on their webpage may help to improve your SEO. Otherwise you can contact bloggers yourself and let them know about your new launch. Help from friends and family: You can approach your colleagues and friends to provide you with a legible link in their website. 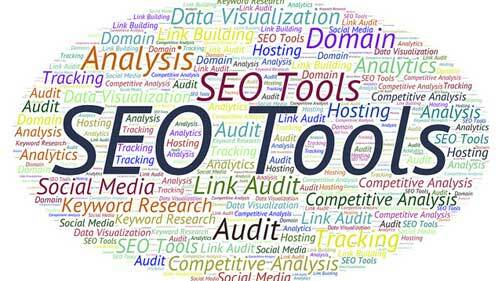 People often resort to Black Hat indexing to improve their SEO capacities in the link building strategy also. This may fetch some initial results and increase your ranks. However, it is to be remembered that search engine bots are being developed every day to detect discrepancy in the methods used to be visible among the thick haystack. Once caught, your website may be banned or blacklisted. If you need free website traffic, sign up to 10KHits today and get 100 traffic points free!